July 11, 2008 - We started the tour early in the morning and boarded the bus. It was cloudy, and upon crossing the border, it started to rain. Our trip was rain or shine, so off we go. Our first stop was the Sir Adam Beck Hydro Power plant. 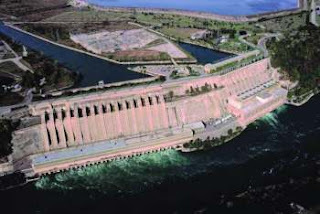 For more than 4 decades, this is one of the largest hydroelectric facility of Ontario, and considered to be a natural,, non-polluting and reliable power source that has worked in harmony with the beauty of Niagara. 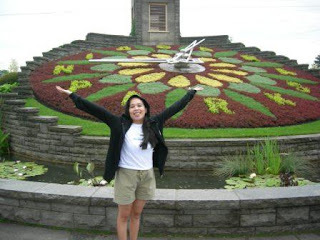 Then we proceeded to the most popular stop and a very unique attraction, the floral clock on Niagara Parkway. It also has an attractive feature - a 10-ft. wide water garden curving 85 feet around the base of the timepiece. Then, we had a quick breakfast at Souvenir City, and at the same time did our early shopping souvenirs :). 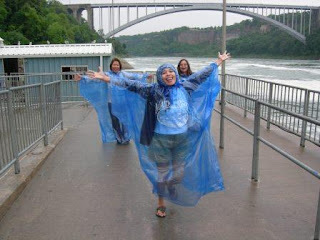 The highlight of our tour was boarding the Maid of the Mist Boat Tour. Be sure to wear a comfortable clothing (don't wear any make up), and be prepared to get wet! LOL! You will be provided with a rain coat, so you won't be totally soaked! 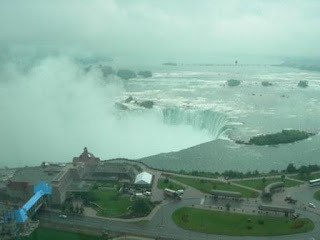 We got the chance to get an awesome view of the falls by overlooking it through the top of Ramada Plaza on the 24th floor. Here, you can get as many photos and videos as you want, avoiding the crowd :).